Evanston Police Department squad cars. Between September and October, EPD has issued 17 noise citations to off-campus student residences — an increase from one citation last fall. Off-campus noise citations in the 5th Ward increased “substantially” this fall due to a new police procedure, Evanston chief of police Richard Eddington told The Daily. 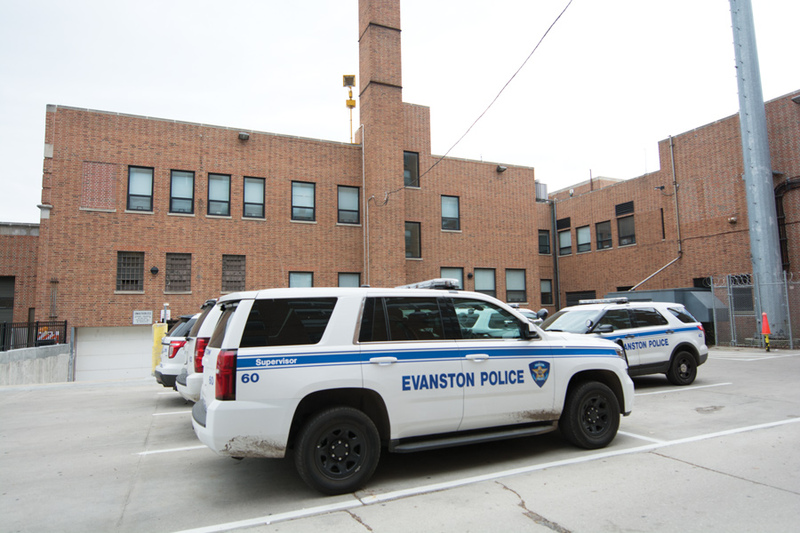 The Evanston Police Department issued 17 citations to off-campus sites between September and October, an increase from one citation last fall, Northwestern’s director of Off-Campus Life Anthony Kirchmeier said in a November meeting of the Campus Safety and Crime Prevention Committee. EPD officers give students a warning before issuing a citation if residents have complained. In the past, officers did not record the properties they warned, so they did not give many citations. But this year officers began to mark which houses had received an initial warning. Eddington said this policy change led to the upswing in citations. Kirchmeier said during the November meeting that non-student residents have insisted on limiting student events in the residential community and increasing EPD presence. Most of the noise complaints EPD has received from 5th Ward residents stem from NU-related parties, Eddington said. Evanston police Cmdr. Joseph Dugan said the increase in citations parallels an increase in resident complaints. Officers knock on doors to discuss noise complaints and preemptively go out into the neighborhood on days with home football games or other large student events, Dugan said. He added that EPD and University Police will take more preemptive measures on days like Dillo Day, when there will likely be more complaints from neighbors. EPD has partnered with UP to provide more information to students living off campus on how to avoid disturbing the neighborhood. In addition, Dugan said officers follow up with the residences that receive a citation and the neighbor who called in the violation to “get some compliance” and prevent future incidents. “If somebody has a party that is in control and not people being extremely loud at all hours of the night, not disturbing the neighborhood, not causing disruptions like urinating on lawns, yelling, throwing things … there would be no reason to call,” Dugan said.